How can I monitor the subdirectories of a website? See the organic traffic data strictly for a folder of your website, not for the whole domain. For cases when you'd like to only track a subdirectory (or folder) of your website, in order to see info about the organic traffic, there are a couple of options that can do the trick. 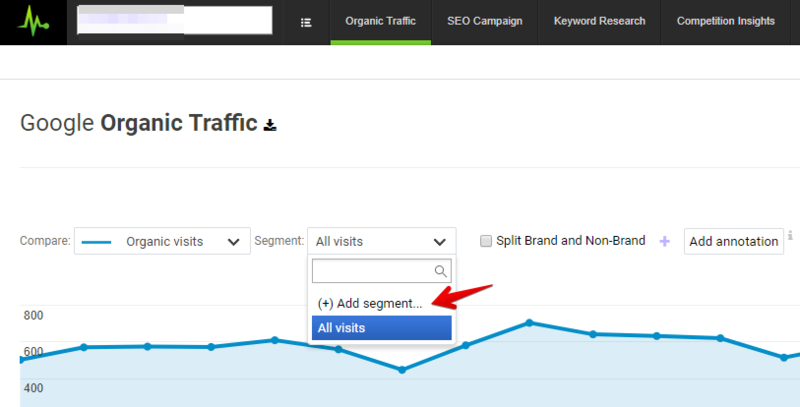 The first option, for the traffic part, is to create segmented views in the Organic Traffic section. 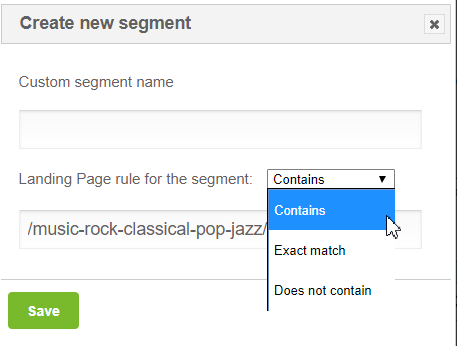 You can add more views based on the landing page rule, like in this example, where you will see traffic coming from LPs containing '/music-rock-classical-pop-jazz/', for example. On top of this, in the SEO Campaign, you can create a smart group with the same rule, to only look at the keywords you're tracking that are triggering LPs corresponding to the aforementioned rule. You can get the scoop on how to set up smart groups through this article. Moreover, this group can then be individually analysed in the Competition Insights module as well, with its specific competitors. The second solution can be to track the subdirectory separately and add it as a new campaign altogether, but you'd need to have its separate GA and GSC profiles, or at least a filtered GA view and a separate GSC profile. If this is the chosen option, keep in mind that the ranks you will see will still be for the main domain and not the folder.